There are almost a dozen fruit stores on 86th Street - some more fancy than others. 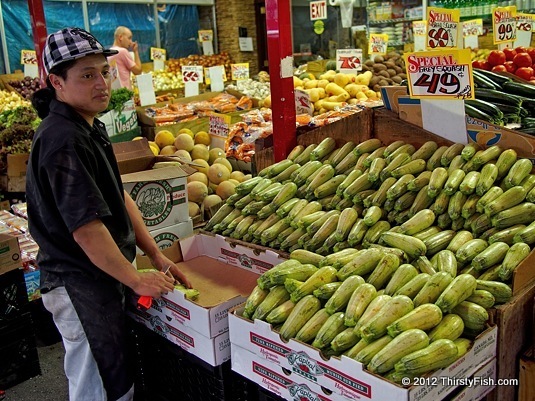 Bensonhurst is still a predominantly immigrant neighborhood, therefore many stores are owned and run by immigrants. In most of the United States, immigrants, especially unauthorized immigrants, are "invisible" to the rest of society. In Brooklyn, immigrants do not live in the shadows, or at least, it is not as bad as other places. The unauthorized immigrant population is not limited to immigrants from Central America. People from all over the world continue to seek a better life in the United States. But I'm not so sure that they find it.